Gov. Jerry Brown (D-CA) did his usual splitting of the baby with regard to gun control bills today. He signed six and vetoed five. As per the usual lately, gun prohibitionists won much more than they lost and the Constitution was spit on once again. The bills signed creates a registry of ammo owners, bans loaning of guns between family members and friends, bans the bullet button, adds non-violent misdemeanors as a prohibiting factor for gun purchases, and, last but not least, bans possession of all magazines with more than a 10-round capacity. On this last measure there is no grandfathering of existing magazines. Brown said he was signing these bills "to enhance public safety by tightening our existing laws in a responsible and focused manner". Of course, none of these bills would prevent further terrorist attacks like in San Bernardino or Orlando. Governor Jerry Brown signs 6, vetoes 4 gun control bills that were passed by the California Legislature yesterday. 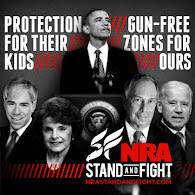 SACRAMENTO – This morning, four-term Governor Jerry Brown conspired with other members of the State’s corrupt one-party majority to make it easier for criminals and terrorists to kill innocent people, said civil rights advocacy organization Firearms Policy Coalition. The “Gunpocalypse” legislation signed by the Governor today will create new criminal liabilities affecting millions of law-abiding people, cost the state tens of millions of dollars in new fees and fines, and eviscerate fundamental, individual rights. “These are constitutionally-illegitimate laws passed by a patently illegitimate government that had the audacity to attack and criminalize millions of its own people in Stalin-esque fashion,” said Firearms Policy Coalition President Brandon Combs. The Legislature suspended nearly every procedural rule to rush these anti-gun, ISIS-enabling bills through to Brown before he left for Europe, a place that may have served as the model for his unconstitutional firearm policies. Now that the first phase of their year-long campaign to support violent criminals and terrorists is complete, the members of the Legislature who passed the bills have left Sacramento for a month-long, taxpayer-funded vacation. “The Legislature ignored every rule in the book to fast-track their civilian disarmament agenda and herd the people into a state-wide gun-free-zone,” said Craig DeLuz, the director of public and legislative affairs for Firearms Policy Coalition. With Senate Bill 1446¾ a statewide, confiscatory ban on lawfully-possessed “large-capacity” magazines¾law enforcement interests once again cut shady deals to exempt their retired members from the long reach of the new gun control laws. Earlier this year, Firearms Policy Coalition, two other civil rights groups, and a number of individuals filed a federal civil rights lawsuit–captioned Garcia v. Attorney General Kamala Harris–that challenges California’s gun law exemptions for retired law enforcement officers on Fourteenth Amendment Equal Protection grounds. “The government would be wise to remember that there are more California residents with guns than there are government officials to take them away. To coin a phrase, ‘come and take it’,” Combs concluded. · AB 1135 (Levine): Bans common and constitutionally-protected firearms that have magazine locking devices. · AB 1511 (Santiago): Criminalizes loaning of firearms between personally known, law-abiding adults, including family members, sportspersons, and competitors. · AB 1695 (Bonta): Makes a non-violent misdemeanor a prohibiting offense. · SB 880 (Hall): Bans common and constitutionally-protected firearms that have magazine locking devices. · SB 1235 (de Leon): New restrictions on ammunition purchases; creates a DOJ database of ammunition owners. AB 857 (Cooper), which would require that serial numbers be placed on un-serialized firearms manufactured going back 50 years and on all new home-built firearms, is still pending. A point of clarification, we didn't include AB 1776 because it was a measure that fell outside the relevant metrics. Oddly, however, CRPA supported a bill that Brown signed that makes it a crime to falsely report lost or stolen firearms. How many thousands of Californians will be reporting lost or stolen firearms due to the new gun control bills? Odd strategy. Nice one, people who are really concerned about the safety and security of yourself and people around you must take help from self defense companies. You can also take help from the MA Gun License to get the guns for safety and security of your loved ones but remember one thing it needs great caution and care.